Congratulations — you belong to the most technologically-advanced civilization in human history. There are self-driving cars, grocery-delivering drones, and cancer-killing nanobots. By all accounts, it is an exciting time to be alive. Unfortunately, it is also a dangerous one. Cybercriminals have harnessed the full power that accompanies advanced technology. Without ever leaving their home, they can access our personal information, hijack our bank accounts, and even steal our children’s identities. In many ways, the world has made it even easier for the thieves. Employers are required to store a tremendous amount of personal data about their employees. Companies are increasingly storing this data electronically. And even if hackers can’t access a system, there’s always the risk of human error. It’s not just businesses that are to blame — we all are. Every small choice we make has a tremendous impact. We overshare on social media, don’t examine the links we click, and for some reason, enjoy posting photos of our food. It’s who we are — and it’s why we all need identity protection. This is a problem that will require each of us to fix. Luckily, you are uniquely positioned to do so. Employers are increasingly looking to offer their employees identity protection as an employer-paid and voluntary benefit. That means you can be a hero and make money in the process. As we said, it’s an exciting time to be alive. Before you add identity protection to your portfolio, it’s a good idea to learn a bit more about the rise of identity theft and the impact it’s having at work, home, and across the nation. There were more data breaches last year than at any point in human history. In total, there were nearly 1,600 reported cases of data breaches in the U.S. That’s a 44.7 percent increase from 2016, the previous record holder. Unfortunately, this wasn’t the only record shattered in 2017. With everyone’s data exposed for the world to see, it was only natural that the number of identity theft cases also reached a new high. In total, 16.7 million Americans had their identities compromised. Collectively, thieves made off with nearly $17 billion. One of the ways identity thieves are capable of amassing such wealth is because they do not discriminate. The greatest lie the devil ever told is that identity theft only impacts the rich and elderly. In the vast majority of cases, it’s the direct opposite. Here are some statistics that might surprise you. Identity thieves don’t care if you’re a millionaire in Manhattan or an infant in Colorado. We’re all the same to them — a target. The good news is HR directors and employers across the nation are starting to understand the threat identity theft poses both to their employees and their business. Nearly 70 percent of HR professionals agree that identity protection benefits are growing in importance. While just 36 percent of employers currently provide their employees with identity protection services, that number is expected to double in the coming years. That’s not surprising. There’s a reason identity protection was named the number one voluntary benefit of 2018. With new data breaches announced on a near-daily basis, employees and employers alike are understandably worried. Although identity theft impacts employees and their families in many ways, the most well known are the financial ramifications that follow. The mean total out-of-pocket loss among victims comes to nearly $2,895, and that’s just the beginning. While identity theft can cost employees a fortune, it can do a whole lot more than just damage their credit scores. Here are three lesser-known ways identity thieves can cause their victims harm. When identity thieves commit crimes and get caught, they often provide a stolen identity to police. While these tactics are used during serious crimes as well, even small violations can create big problems that take years to fully resolve. Medical identity theft has been growing by leaps and bounds in recent years. This occurs when thieves use a victim’s personal information to receive medical care. When this happens, the thief's medical records can easily become tangled with those of a victim — leading to misdiagnosis, receiving incorrect treatment, or worse. Identity thieves will do anything they can to make an extra buck, even if that means jeopardizing an employee’s entire family during a national crisis. We saw this firsthand during Hurricane Harvey, which displaced more than 50,000 Houston residents. To survive, many of the refugees turned to FEMA for assistance. However, their nightmare was far from over. Many were denied funds because an identity thief filed fraudulent claims on their behalf. To receive funds, a victim had to first clear their name — a process that can take hundreds of hours. When employees become victims of identity theft, it can have an equal — and sometimes greater — impact on their company. A quality identity protection benefit should protect the employee’s business as much as it does the employee and their family. Here are just a few ways it can accomplish this. It takes a significant amount of time to recover from identity theft. While the exact number of hours varies from case to case, a generally agreed upon average is between 100-200 hours. Without the proper assistance, this amounts to a lot of missed work hours, increased distractions, and an overwhelming lack of focus that can quickly lead to a disengaged workforce. With a quality identity protection plan in place, certified advocates can act on an employee’s behalf. This helps eliminate or reduce the most tedious and time-consuming parts of restoration, leaving employees to focus on what really matters — their job. Depending on how an employee’s identity was compromised, a company could find itself facing a massive lawsuit. That’s because courts are increasingly holding companies responsible when they expose the personal data of employees and customers. Considering as much as 50 percent of identity theft originates in the workforce, this can spell major trouble for businesses. When companies fail to comply with laws that protect employee data, like the FACT Act, they can face millions in fines — and not just from the feds. State and local governments are increasingly suing companies they believe violated their citizens’ privacy. By providing identity protection as an employee benefit BEFORE a data breach occurs, companies signal that they value their employees’ privacy and are taking active steps to protect them. This, coupled with a comprehensive security plan, can significantly reduce litigation risks. If the fines and lawsuits that accompany a data breach don’t bleed a company dry, the damage their reputation takes might finish the job. 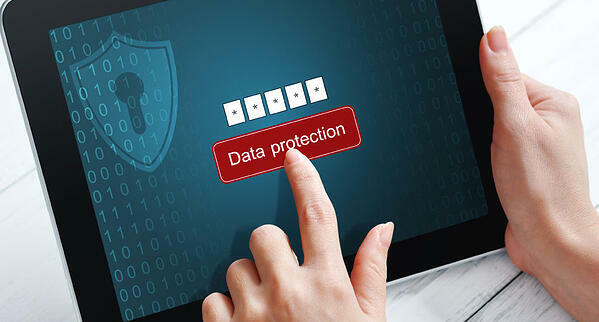 Businesses that suffer data breaches can quickly find themselves in a PR nightmare — especially if they don’t offer their employees identity protection. Chances are, they’ll lose a significant amount of business from both new and existing clients. Additionally, the company will likely lose some of their best team members and have difficulty hiring new ones. Providing identity protection to employees in the form of a benefit helps limit these risks. Employees are understandably concerned about the dangers of data breaches and identity thieves. In fact, Americans last year ranked criminal hacking as the number one threat to their health, safety, and prosperity. Those employees can now rest easy knowing they have comprehensive identity protection that not only monitors their identity, but comes with a team of Privacy Advocates that will assist them in the event of identity theft. Providing employees with identity protection helps employers not only attract top talent, but also retain them. This impact is especially true for millennials, 60 percent of whom say employers should help support their financial, social, and physical well-being. Identity protection helps protect all three areas. If you’d like to see how, you can download our complimentary resource Attract, Engage, and Retain Top Talent with Identity Protection. In today’s hyper-digital world, employees need more than a traditional credit monitoring service. 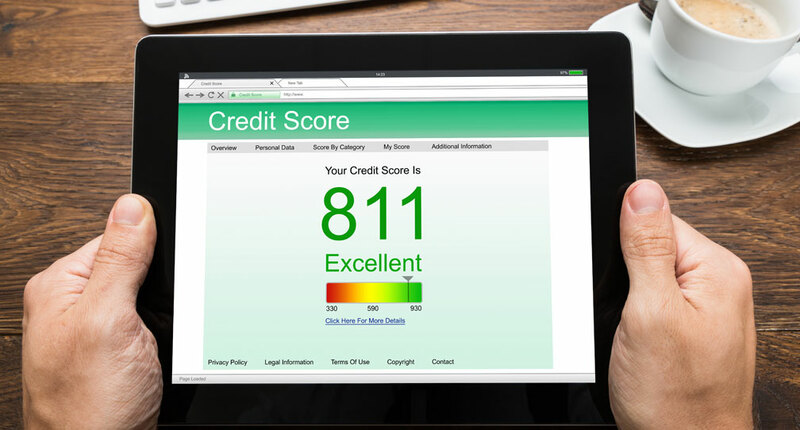 They need a benefit that alerts them in near real-time of both credit and non-credit account activity. When an employee has their social media account compromised, the resulting connections, posts, and communications can sabotage not only their reputation, but that of their business. Criminals can use the hijacked account to obtain sensitive data like physical addresses and passwords. They can even launch a phishing campaign targeted at the victim’s co-workers. That’s why employers want an identity protection solution that monitors an employee’s social accounts and will notify the employee if their posts contain vulgarity, reference violence, include explicit content, or any other reason to believe their profile is compromised. Be certain the plan you offer provides family social media monitoring, so an employees’ children are also protected from online threats. Alerting employees to a potential identity theft is only part of the solution. A quality identity protection benefit will also facilitate the identity restoration process. This means every plan you provide should come standard with a team of dedicated and certified advocates available 24/7 to handle the most time-consuming and tedious portions of reclaiming an identity. When an employee’s finances are placed in jeopardy, it becomes nearly impossible for them to focus on anything else — especially their job. The identity protection plan(s) you offer must include an identity theft insurance policy that reimburses employees for related legal fees, lost wages, medical record request fees, CPA fees, child care fees, and more. A benefit that offers stolen fund reimbursement is also critical to safeguarding employee finances. If they have funds stolen from a bank account or investment account like an HSA or 401(k), knowing that they can be reimbursed is crucial to their peace of mind. The identity protection plan you offer should havean easy onboarding process with a proven track record. It should also come standard with a seasoned implementation leader who can provide guidance not only to the employer, but to any other critical third party. The identity protection provider should also provide the employer with meaningful product education (geared towards both the company and its employees), offer comprehensive implementation guides, and host meetings as needed. For the plan to be successful, the identity protection service must consistently provide superior customer service. Carefully evaluate any plan’s NPS (Net Promoter Score). Quality identity protection services will provide clear communication long after the onboarding process has ended, including information related to product updates, utilization data, and employee education opportunities. Additionally, the benefit you offer should come with ONE dedicated account manager or client relationship manager to learn the ins and outs of your client’s individual circumstances and keep pace with their changing needs. Employers also need flexibility when it comes to offering employee benefits. Not every company can afford to provide an employer-paid plan for every team member. That’s why you should consider offering a policy that allows employee-paid, voluntary, and hybrid payment models. We work with hundreds of brokers across the nation, and we love helping them answer any questions their clients might have. Here is a list of some of the most frequently asked ones we’ve heard, along with our responses. #1 Can implementing an identity protection benefit lower our overall corporate risk? 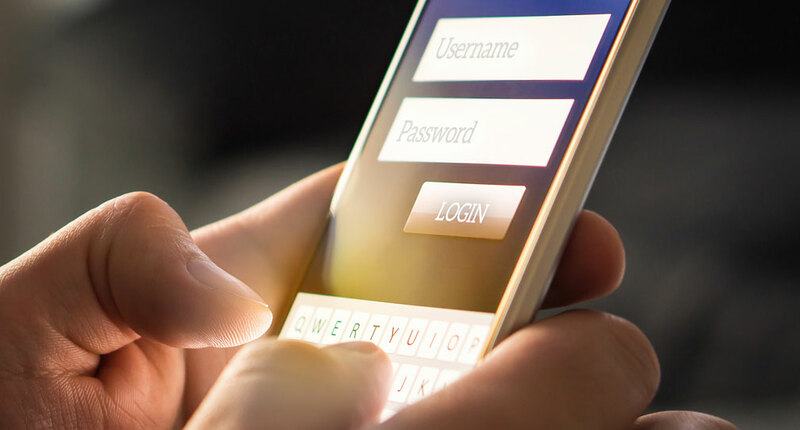 Identity protection helps raise employee awareness about cybercrime, and they become far less likely to click risky email links, share sensitive corporate data, use easily-cracked passwords, or engage in other risky behavior. With 85 percent of hackers agreeing humans are the greatest risk to corporate security, these small actions can create powerful results for a company. #2 Why should we implement an identity protection benefit before a breach impacts my employee population? You should never wait until a breach has occured to offer employee identity protection. By that time, you’ll be far too late. Companies need proactive breach plans that improve employee morale, provide peace of mind, and illustrate that their company cares about protecting their employees identities and privacy BEFORE a breach occurs. Additionally, many companies have already been breached or exposed, they just don’t know it. #3 With employees that are so financially diverse, what financial tools can we introduce that will truly benefit ALL of my employees? Companies generally consist of employees across a wide-range of economic profiles. Some may be struggling to pay off student loans, while others are on their second vacation home. Regardless of income, they all share one commonality — they have an identity. Identity protection helps safeguard their finances — as well as the finances of their loved ones — regardless of how many zeros are on their paycheck. #4 What’s the most effective method for employees to enroll in identity protection? Our experience shows the most effective enrollment method is when identity protection comes packaged with an employee’s core benefits. This helps employees consider the benefit when selecting other offerings in the client’s portal. #5 I have limited resources to add new benefits — what is the time commitment required for implementation? The answer to this question will vary greatly depending on which identity protection company you partner with. At InfoArmor, the vast majority of our implementations are done in three or fewer calls. From start to finish, our implementation process takes just 30–45 days to complete. #6 Does identity protection as an employee benefit protect my employees better than a direct-to-consumer product? Employee identity protection is superior to direct-to-consumer products that charge users a premium, deliver subpar service, fail to deliver on important commitments, and are more likely to see users discontinue service. Identity protection as an employee benefit offers employees affordable pricing, consistent reliability, and superior customer service. At InfoArmor, customer delight is something we take seriously. And this dedication has earned us a retention rate of 92 percent and a customer support NPS score of 90.1. #7 How is identity protection different from a legal plan? You might have noticed some legal plans are adding identity protection services to improve the value of their core legal product. Unfortunately, this is more of an afterthought than any real added value. Employees deserve a standalone benefit that focuses solely on one task: safeguarding their privacy. The following tips are designed to help you better offer identity protection as an employee benefit to your clients. Identity protection does a lot more than just safeguard an employee’s identity. Consider your clients’ biggest pain points, and tailor the pitch to fit their unique circumstances. Are they looking to attract and retain top talent? Identity theft is a great solution. In fact, nearly 70 percent of HR executives believe providing identity protection will help them compete in hiring top talent. Maybe they’re looking to reduce corporate risk — another benefit identity protection provides. The bottom line is to determine what your client is struggling with the most, and frame the identity protection benefit accordingly. Always stay up to date on the latest statistics. This includes not only the most recent numbers on data breaches and identity theft cases, but also general employment figures, surveys, and more. The following statistics might be helpful. They come directly from our one-page guide to selling identity protection as an employee benefit, which you can download here. One of the most important steps in offering identity protection to employers is to pick a quality plan from the beginning. Regardless of which solution(s) you decide to add to your portfolio, the service will need to include the following features — all of which come standard with InfoArmor’s PrivacyArmor. Expert customer service representatives based in the U.S. Thank you for reading our guide! We hope it helps you in your quest to protect humanity and make a profit. If you would like more information about adding PrivacyArmor to your portfolio, please reach out! Would you like to learn a little more first? That’s great too. Here are some additional resources you might find of value.